This guest post is by Tihana, a blogger behind the Wandering Polka Dot, a personal travel/lifestyle blog where she shares her love for travel and all other endeavours. You might stop by to check out her advice for travel on a budget, city guides and experiences living abroad. Oh, there are also packing tips as you’re bound to have them after dragging the literal burden across a country in three weeks. If you had unlimited funds to travel, and a decent slot of time, and a person or two you could travel with (if solo travel is not your thing) – where would you go? Let me guess. OK, I won’t really be guessing your exact destination, but it will probably be something that (in perspective) sparks joy. If you like summer, chances are it will be a seaside country. If you’re a city type, a bustling metropolis might be your choice. If you’re into active vacation, skiing, paddling, paragliding? You get it. Yet I once made a choice totally unexpected for me. It was back when I lived in Finland and I booked a trip to Lapland in December. Honestly? It scared me a bit. Now let me back this up: I hate winter. I hate snow in the city, I hate how unsafe I feel walking in the iced streets, I hate the cold, the short days – everything. At least that’s what I thought before the trip. Why I booked it then? For the sake of travel, of course. And as an organized traveler that I am, I was quite informed in advance. The Lapland trip did sound interesting. What I didn’t know is that it is also one of the most magical trips you can ever take. Yep – coming from a person who up to that moment hated winter. So you know you could trust me on this! Finnish Lapland is the largest and the northernmost region of the country. Why do I emphasize Finnish Lapland? There’s also Swedish Lapland, no need to tell you where. It’s the least densely populated area of the country. And if you’re bothered by the cold or the short days just like I was, read on. I might just trick you into adding this trip to your bucket list. 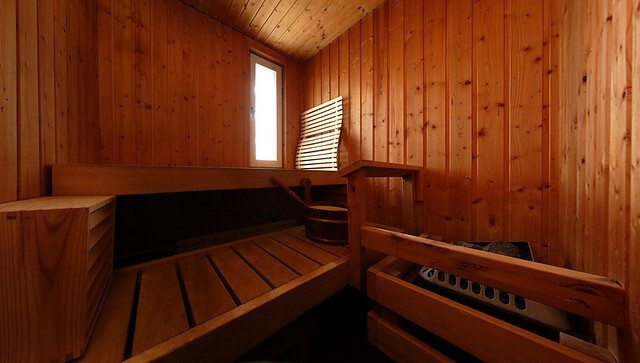 First of all, a trip to Lapland is not all about snow. I mean, you can go to a winter resort anywhere in Europe, right? But other places, like mountains of France or Switzerland, cannot offer you the ultimate cultural experience of the indigenous people, nor its unique perks of having daylight only 2 hours a day. Did I just say perks? I guess I did; I wouldn’t have believed it had I not experienced it firsthand, but it really adds to the overall charm and magic. The snow is different. You might already know this if you’ve been to the winter resorts before; what made me hate snow is actually the snow in the city. Being in a city is not the right context to enjoy snow, and I might be discovering America here, but it’s so much nicer and more beautiful in the nature. If you visit the Ranua Wildlife Park, you can even get to see polar bears in their natural surroundings – well, sort of – without going to the North Pole. This park, better known as the Ranua Zoo, is the northenmost zoo in the world. Its animals consist of approximately 50 wild animal species and 200 individuals. I liked it better than most of the zoos, because the areas animals live in are really large so it doesn’t look as sad as it does in most of the zoos. 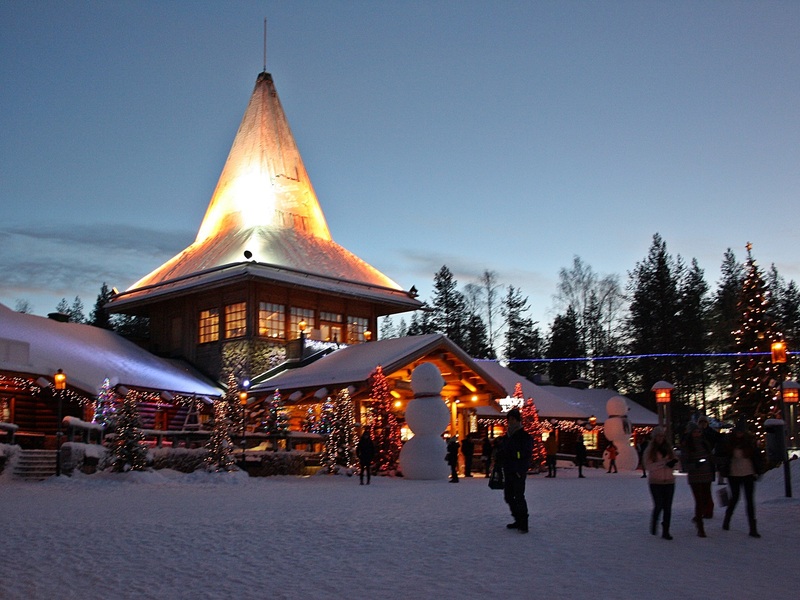 If you’re into Christmas, you should visit Santa Claus Village on the Arctic Circle – which is just outside Rovaniemi. To tell you the truth, the village is highly touristic, full of souvenir shops, and Santa is also making profit by charging people for taking photos with him. On the other hand, the place looks really magical. My inner child was super excited to see the ‘real’ Santa – even though I wasn’t really convinced his beard was real. Anyway, you don’t need to go crazy and leave them your pennies – many other people will do that – but you can always have a hot chocolate. On your way up north, it’s a necessity, so to speak. Unfortunately, Santa’s reindeer won’t be in the Village with him, but you can visit them elsewhere. There is a number of reindeer farms all over Lapland, and the animals are scattered there in the winter – as opposed to summer, when they roam free across the land. Trivia: there are no wild reindeer in Finland! Every animal has an owner. 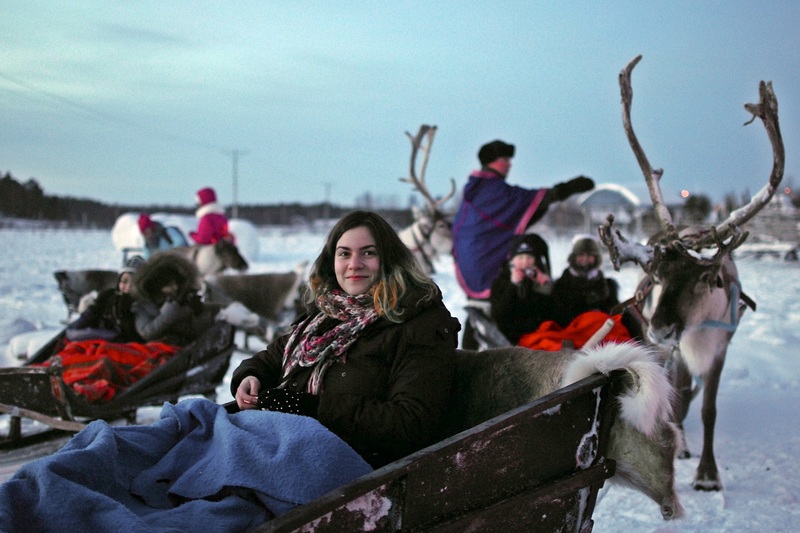 Owners are usually Sami people – indigenous people of Lapland – who have been living with reindeer for centuries. If you pay a visit to one of these farms, you’ll hear facts and figures, but also enjoy a ride in a reindeer sleigh, and pet and feed the animals with moss. Oh, in case you wonder – reindeer are the small ones; moose are much bigger. Aaand yes, you can eat both. In fact, at least one of your meals in Lapland will offer some sort of reindeer meat. It might sound gross, but, you know, the circle of life. 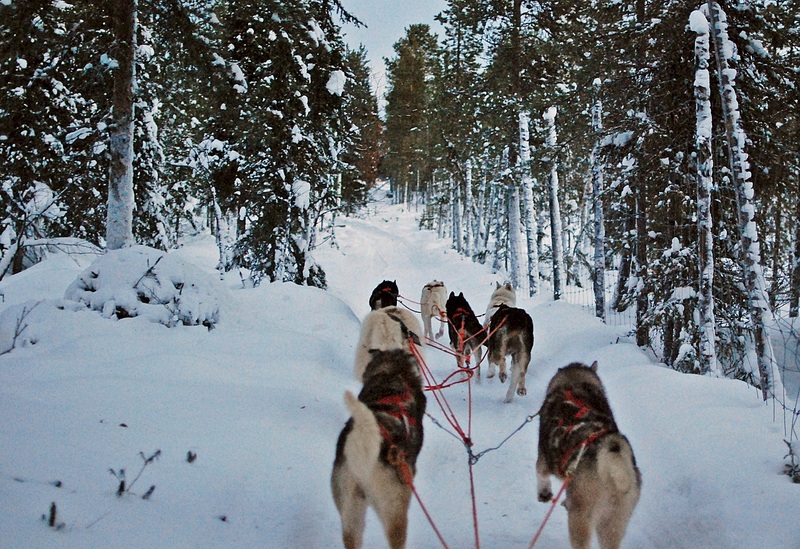 Yet one Lapland experience tops them all. The downside is that you can never really tell it will happen, so you have to rely on luck and good karma. I must had been really nice before the trip, because it greeted me in all its glory. Of course, I’m talking about Aurora Borealis, or the northern lights. They had always seemed to me like something you want to see in life, but aren’t sure it would ever happen. It did. 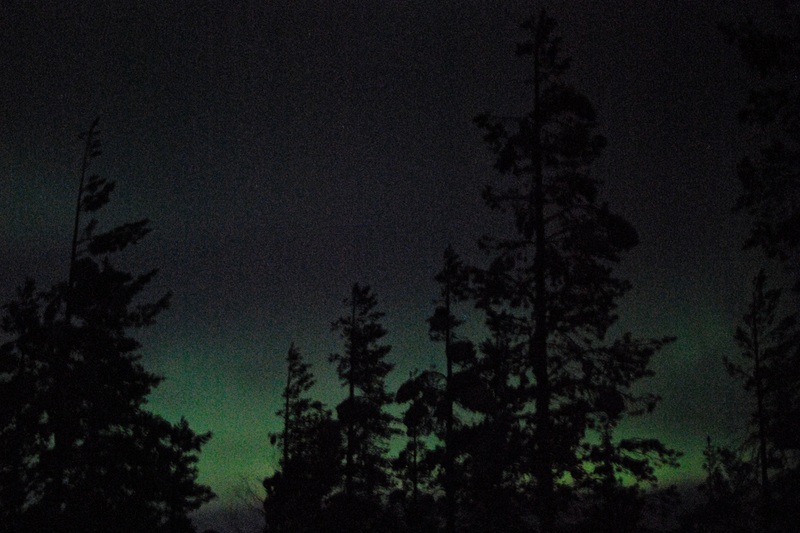 The aurora forecasts were foreseeing a good night: we went outside of the resort, out into the woods, as artificial street lighting won’t do you much good in spotting auroras. (Strong auroras remain visible in a city, but they’re much more beautiful out in the darkness.) We put snowshoes on and went hunting for auroras. The wind was just scary! But it was all worth it when a tiny green stripe across the sky emerged. It wasn’t really what I had expected, but soon enough it rose. I wish I were skilled with words enough to describe the wonderful dance of the aurora, its changing of the color, turning white and then back to green; its behavior, similar to what would be a very slow moving fire; and how everything becomes so insignificant in that moment, even the cold that threatens to eat you up; how you feel so very humble and small and so grateful for witnessing this. But I’m not, so I’ll skip even the part where I teared up a little and wish you an opportunity to experience it yourself. If you’re staying in a resort, you might want to do regular winter stuff like downhill or cross-country skiing or driving a snowmobile. I had never skied before and wanted to devote it a couple of days sometime in the future instead of one afternoon in Lapland, so I skipped. But I did slide downhill on my behind. Apparently, I reached speed of around 40 km/h. It felt super dangerous, but was also so much fun. If snow in -15 degrees didn’t feel as bad, you can go one step further. Finland doesn’t have a shore on the Arctic, but while you’re here, you can travel to Norway and test your endurance in the cold waters. I’m not even joking – I did this. If you’re trying to set your foot in all the oceans, or just want to have an interesting story when you get home, this is the experience for you. I now know the answer to the question ‘what was the craziest thing you’ve ever done’. The fact that Lapland is a part of a European country shouldn’t leave you all spontaneous when it comes to the travel part. Finland is a quite large country, geographically speaking, so you might want to consider flying into Rovaniemi or Kittilä, and you can do so from major Finnish cities. Traveling by bus or train might be scenic, but if you’re doing it in winter, remember that the sun rises really late and sets really early, and the trip from the south of country lasts for a whole day. 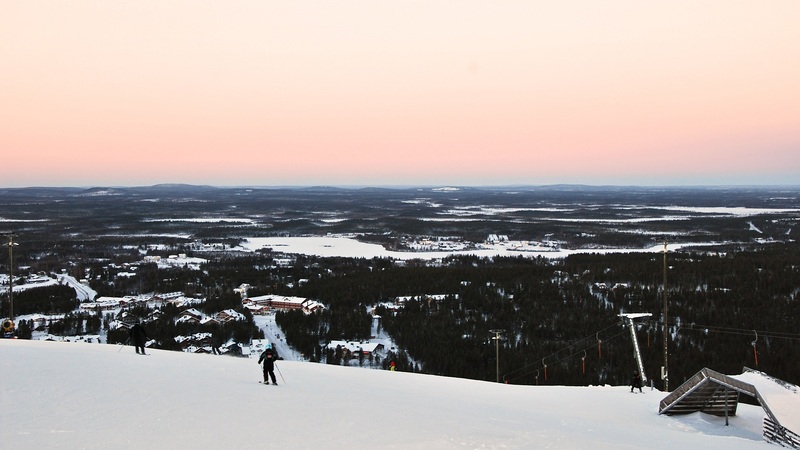 Apart from the town of Rovaniemi, the capital of the region, you can opt for the resorts out in the nature, such as Levi, Saariselkä or Ylläs, all of which offer hotels, spas, restaurants, but also wooden cabins and even igloos. Reindeer in all forms – smoked, dried, as a steak. Herring. Lots of smoked salmon. Salmon soup – delicious and filling. Berries, even if it’s winter, because locals picked tons of berries in the summer. There is no cold weather – only inappropriate clothes! According to Norwegians. Well, some could question the “no cold weather” argument, but make sure you wear lots of layers, a really good winter jacket and all the winter accessories. You don’t want to leave your room without gloves and a winter hat, no matter what it does to your hair. It’s survival of the fittest! Watching northern lights from the Hotel Kakslauttanen has always been on my bucket list. What about you? 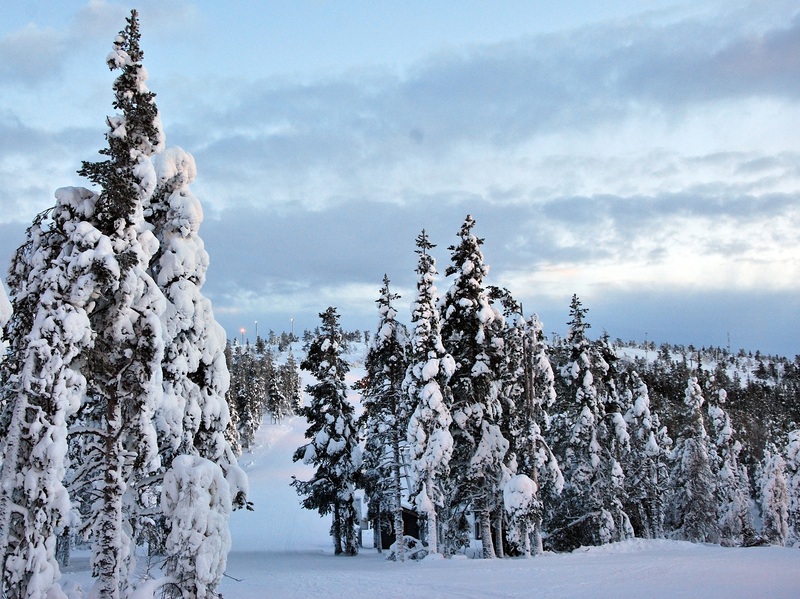 Would you like to visit Lapland?